Jury service is not only an obligation. It is a privilege and a right. There is no more vital work a citizen can perform in the exercise of self-government than honest and conscientious jury duty. 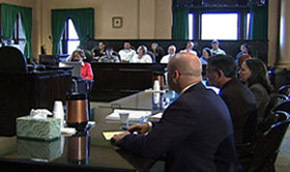 Service as a juror is as important as that of the judge, and a trial juror should take great personal satisfaction in the fact that an important service has been rendered. Indeed, the effectiveness of our system of justice is measured by the integrity and dedication of the jurors in our courts.